As a continuation of my previous post How the world temperature “record” was manipulated through dropping of stations I will continue my expose of official ways to manipulate data. This time about the smoothing radius. It sounds like a very boring technical detail, and it is, but it plays an important part in the official manipulation of the temperature record. Others have shown this before and done a very good job presenting it. 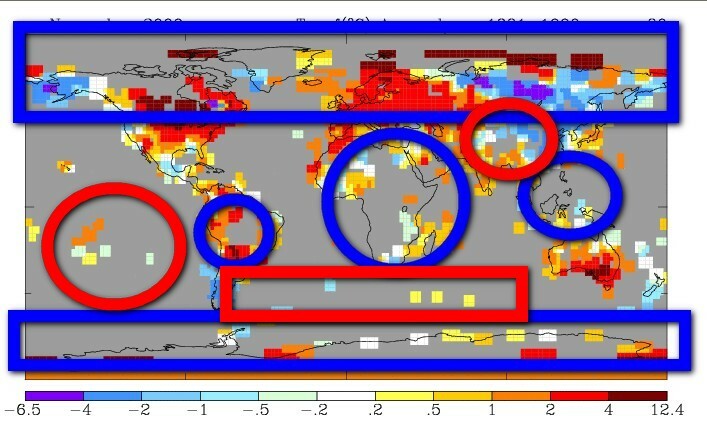 But it is worth repeating because most people have no idea on what shaky grounds the temperature records are based. So what is a “smoothing radius”? And why is it so important? 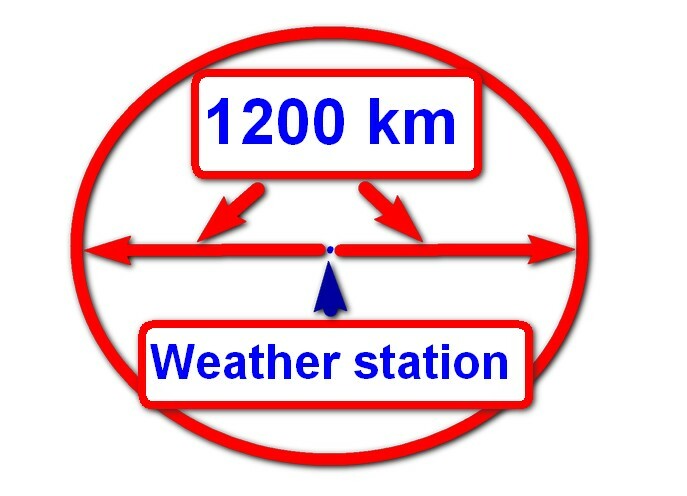 A smoothing radius is: EVERYTHING within 1200 km in ALL directions from the weather station IS GIVEN THE SAME TEMPERATURE AS AT THE STATION! Regardless of facts, geography and data. This is of course a VERY HANDY tool. First you drop most of the measuring stations. And the one you chose and keep are very strategically placed. Then you let the stations you ”kept” decide, or as they so nicely put it “influence” the temperature within a radius of 1200 km. 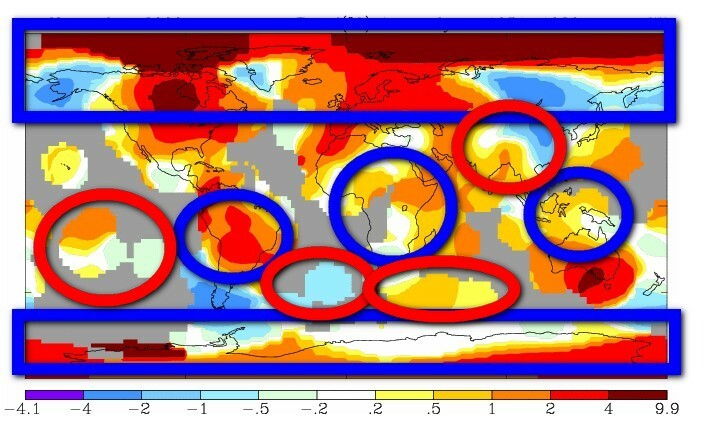 Now you can influence and “control” the official world temperature “record”. And remember –This dropping of stations was done on purpose. And what “happened” to the temperature after that – the temperature went up sharply. The difference is HUGE and VERY revealing. See ALL these grey areas that “suddenly appears” in the 250 km one? These huge areas of the globe which are grey are the ones where they don’t have ANY DATA. (I.e. the data is there but they don’t use it since dropping of ALL these stations). That is also why they always “officially” use the 1200 km smoothing in their graphics. So that you wouldn’t know that Antarctica, Arctic, HUGE PARTS of Africa and Asia is NOT covered in “their measurements”. Also notice, and this is VERY TYPICAL of them, that ALL these parts that ARE NOT COVERED ARE ALL VERY RED (i.e. very hot). Do you think this is by coincidence? And what does that says about the “science” behind this? And also remember that a 250 km smoothing in it self is VERY large. If you could use a 100 km smoothing you would see EVEN more parts of the world in grey – i.e. there is no data. To show you how ABSURD a 1200 km (745.7 miles) smoothing is if used in ANY “scientific” way or shape or form, I am going to give you 3 examples. 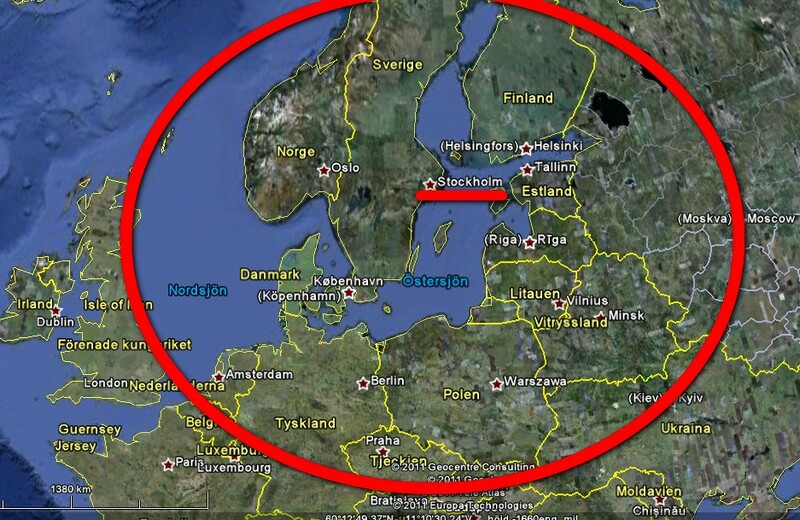 If the weather station is placed in Stockholm (Sweden) the temperature there would be given to Moscow, Amsterdam, Berlin, Warszawa, Kiev, Oslo, Helsinki and Prague etc. You see how TOTALLY ABSURD THIS IS. If the weather station is placed in Paris (France) the temperature there would be given to London, Amsterdam, Berlin, Madrid, Rome, Dublin, Budapest and Prague etc. 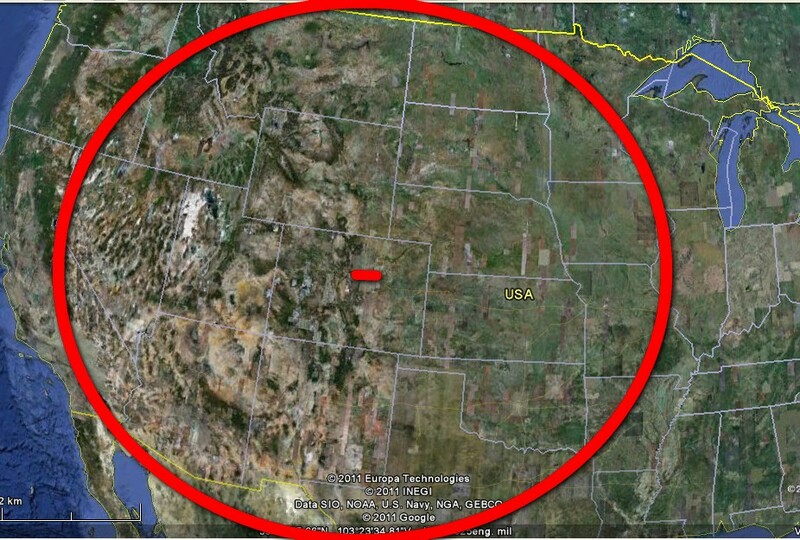 If the weather station is placed in Denver(Colorado) the temperature there would be given to Las Vegas (NV), Phoenix (AR), over the border to Canada and Mexico, St Louis (IL), Minneapolis (MN) and Dallas (TX) etc. That’s why “officially” the high Bolivian Andes can have a “record warm” when the temperature is actually measured 1200 km away at the beaches in Peru. Or in the jungles of Brazil. There has not been any thermometer data in GHCN since 1990 from Bolivia. The same goes on in the Arctic. And over huge parts of Africa. And over huge parts of Asia. And over huge parts of Latin America. And over the oceans which make up 70% of the surface of earth. It doesn’t cover 70% of the surface, Antarctic, Arctic, huge parts of Africa, huge parts of Asia and huge parts of Latin America. Besides that everything is just fine. (Sorry, I could not resist the pun). As a complement to my previous post January U.S. Temperature – 9.74 F cooler than the warmest January I thought it would be interesting to look at large state, in this case Texas, the second largest state with an area of 695,621 km2 (268,580.82 sq mi). Texas is bigger than France, Afghanistan, and Ukraine etc. 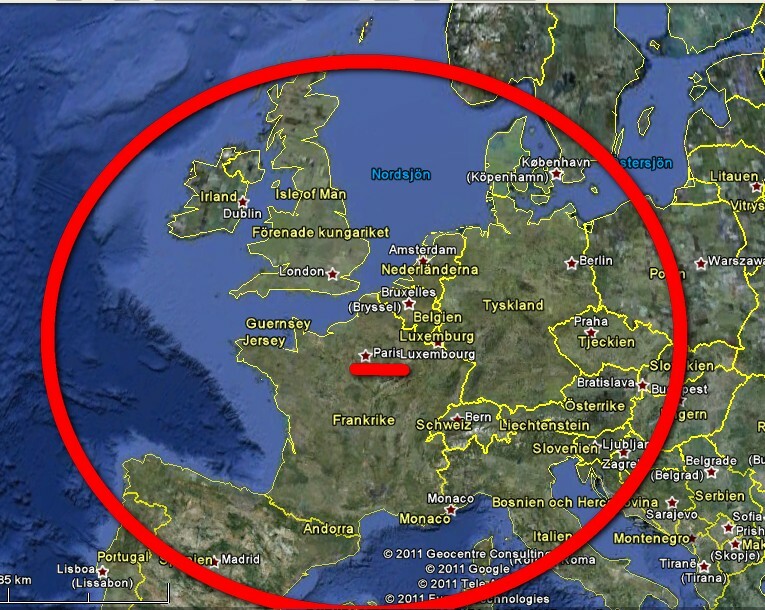 And is double the size of Germany. This year, the January temperature is – 10.3 F cooler than 1923, the warmest January. And if we compare this year’s January with 1998 it is – 5.9 F cooler. This January is – 1.58 F degrees cooler than the average for 1900-2011. 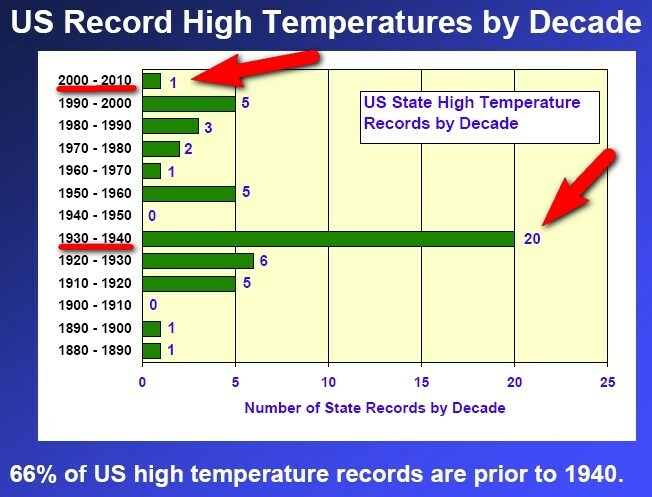 And the “warming trend” 1900-2011 is exactly – 0.14 F degrees a decade. And notice the dramatic drop from 2006 to 2007. A drop of – 10.1 F degrees. This year, the Nov – Jan temperature is – 5 F cooler than 1923, the warmest Nov – Jan. And if we compare this year’s Nov – Jan with 1907 and 1934 it is – 3.7 F cooler. This recent 3 months is nearly exactly as the average for 1900-2011. 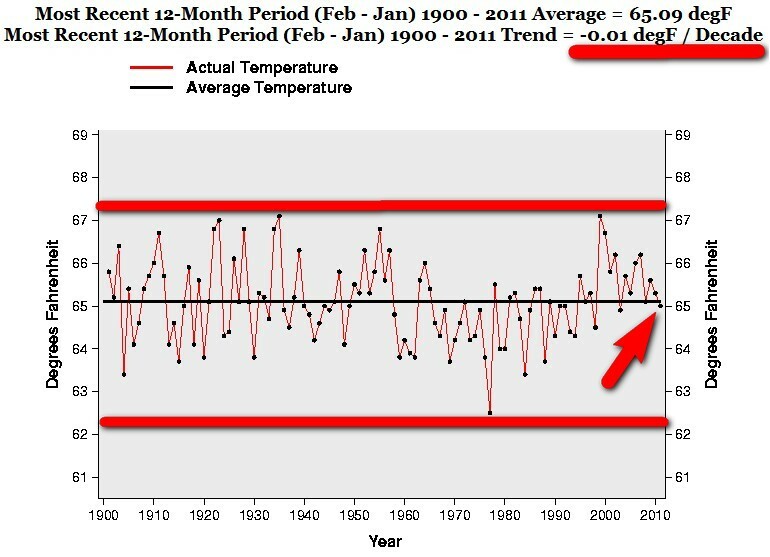 And the “warming trend” 1900-2011 is exactly – 0.06 F degrees a decade. This year, the Feb – Jan temperature is – 5 F cooler than 1923, the warmest Feb – Jan. And if we compare this year’s Feb – Jan with 1907 and 1934 it is – 3.7 F cooler. This recent 12months is – 0.09 F degrees cooler than the average for 1900-2011. 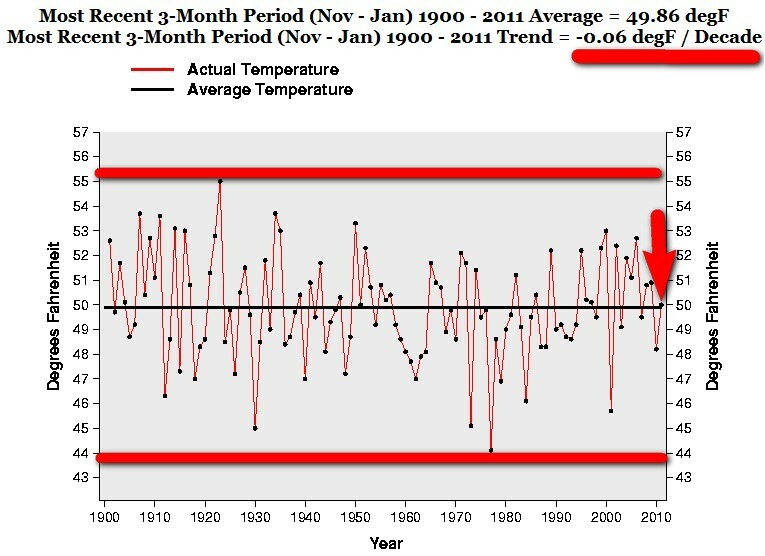 And the “warming trend” 1900-2011 is exactly – 0.01 F degrees a decade. 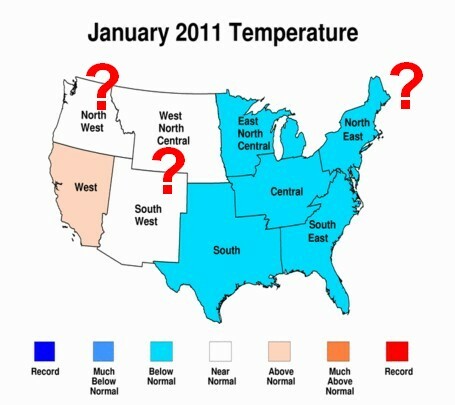 The January “warming trend” 1900-2011 is exactly – 0.14 F degrees a decade. 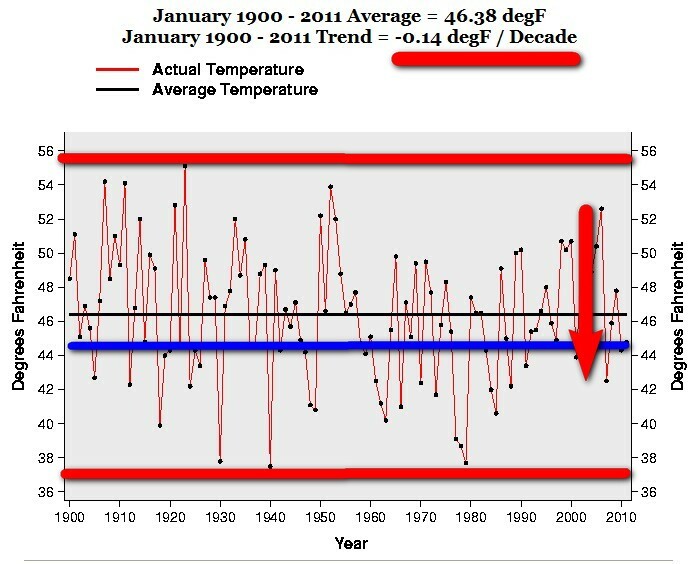 The Nov – Jan “warming trend” 1900-2011 is exactly – 0.06 F degrees a decade. 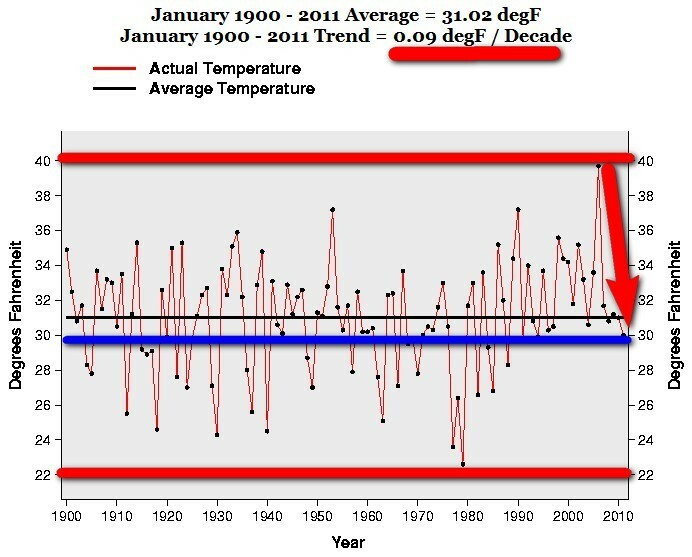 The Feb – Jan “warming trend” 1900-2011 is exactly – 0.01 F degrees a decade. That is truly “Global Warming” Texas style. The official January temperature figures are out. And the cooling continues – Sorry this should of course be that the rapid warming continues in an accelerated pace. It is always ”fascinating” to see the huge difference between the national level when you compare it to the regional picture. 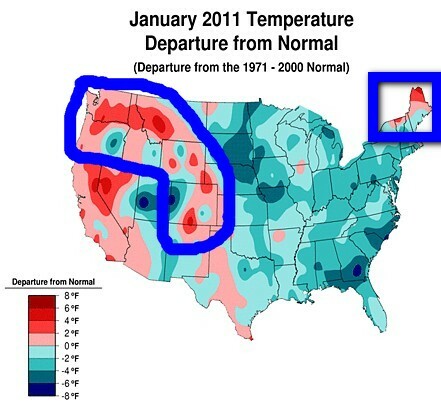 Especially if you see the bright red areas in the official “Departure from normal” January picture above. Which covers the WHOLE western, and parts of central and eastern USA. Ehhh? Where did these huge red areas of North West, West North Central and Northeast go??? You would think that huge bright red spots on a national level would be EVEN more dramatic on a regional level. But they ARE GONE –zip, nada, nothing. And Northeast with a “warming trend” of exactly – 0.03 F degrees a decade?? And as I said in the beginning – always remember that these figures are based on the official data that has been tweaked, “adjusted” and manipulated to fit there agenda (cool the past, ignore UHI and land use change factors, huge smoothing radius – 1200km etc.). This year, the January temperature is – 9.74 F cooler than 2006, the warmest January. And if we compare this year’s January with 1998 it is – 5.67 F cooler. This January is – 1.05 F degrees cooler than the average for 1900-2011. And notice the dramatic drop from 2006 to 2007. A drop of – 8.05 F degrees. 66% of ALL State High Temperature Records are PRIOR to 1940. Don’t you see the rapid warming there? Another brilliant example of RAPID WARMING and an eminent treat to humankind!